Wall Street analyst contends that the recent nosedive in Apple offers an attractive entry point into the stock. 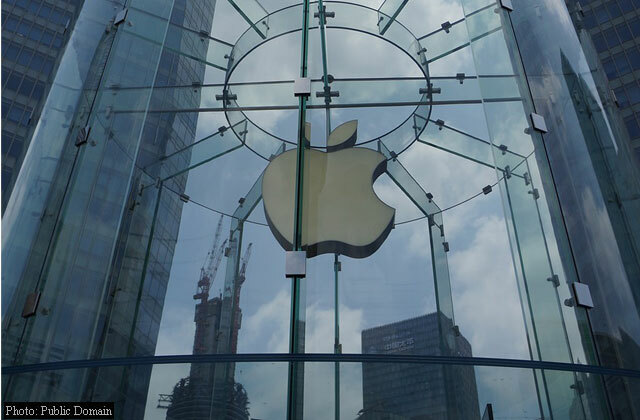 Morgan Stanley analyst Katy Huberty believes that Apple’s (NASDAQ:AAPL) stock is unlikely to go much lower and that now is perhaps a good time to long it. The call comes less than a week before the iPhone maker announces its quarterly results for the fiscal quarter ending Dec. 2018. “We believe the recent pullback is an attractive entry point given upcoming services launches and shares already pricing in extremely cautious iPhone replacement cycle and average selling price headwinds,” Huberty said in a note to clients on Friday. Apple’s stock price has lost more than 30% of its value over the past three months of trading. In fact, ticker closed at $142 and change on Jan. 3, down nearly 40% from its all-time intraday high of $233.47 on Oct. 3. The iPhone maker took a huge hit when it slashed revenue guidance on Jan. 2, following a significant sales slowdown in China that forced Cupertino for the first time in more than 15 years to revise guidance downwards for its most recent quarter. Huberty adds that while Apple’s December revenue number is important, the Wall Street and buyside investors have already lowered their expectations, so Tuesday’s earnings results will unlikely dip the stock further. She notes however, that Apple needs to deliver a “better than feared” revenue outlook for the stock to recover further in the very near-term. Morgan Stanley rates Apple as “Overweight”. In December, the firm reduced its price target by 17 points to $236. After Apple’s revenue warning, the bank, which currently predicts Q1/19 gross margin of 38.4% with $2.65 EPS, cut AAPL’s 12-month price target further to $211. Apple shares were up 2.77% on Friday to $156.94. Apple (AAPL) – The Most Valuable Company Ever!